All Posts Tagged With: "Hilary Duff"
TM & Marta Walsh has got the word that celebrity hairstylist Marcus Francis worked with Hilary Duff to create Duff’s Brigitte Bardot inspired hairstyle for the New York signing of her new book “Devoted” on Monday, October 10th, 2011. The key to creating any gorgeous hairstyle is to start with healthy, shiny hair. Guest editor and NYC salon owner Sam Brocato shares his best beauty tips on how to score healthy hair even after months of winter abuse. Sam and his team have worked with countless celebrities including Britney Spears, Hilary Duff, and Claire Danes. 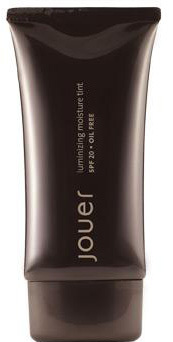 Basic winter hair care starts with a gentle shampoo that won’t strip hair of moisture. Try to shampoo less than 3 times a week and use a dry shampoo in between washings. If you simply can’t part with a favorite shampoo or daily wash, blend two parts shampoo with one part conditioner for added moisture. If you’re ready for something new, try a conditioning treatment that has a mild foaming agent like my Brocato Constructor. Celebs bare all at the Victoria’s Secret Fashion Week Suite at the Bryant Park Hotel during New York Fashion Week Spring 2010: Hilary Duff, Emmanuelle Chriqui, Katy Perry, Michelle Trachtenberg, and Mena Suvari (see images below). Get The Look:Grey Luxe, or grey and silver eye makeup, as seen on Kristen Stewart, Hilary Duff and Alicia Keys. With summer parties in full swing, Modelinia.com (www.modelinia.com ) is here to give you tips on the hottest makeup trends. Grey and silver eye makeup work on all skin tones and can be seen on the runways of Marc Jacobs and Matthew Williamson and on celebrities like Kristen Stewart, Hilary Duff and Alicia Keys. Johnny Lavoy, Maybelline’s resident makeup experts and the host of Modelinia.com’s series Get the Look, gives step by step instructions on how to get this classic look in this video. 1. Sweep a light silver color across the eyelid. Go right up to the crease on the lid and stop where the crease starts and apply from the inside corner to where the lash line ends. Don’t forget to blend in because you never want to see when one color stops and the other color starts. Hilary Duff is on the cover of Maxim Magazine January 2009. I love everything about Hilary Duff’s hair and makeup look on the cover of Maxim January 2009! Hilary’s hair is parted in the middle, with big soft curls. This hair style reminds me of Marisa Miller’s hair style at her Victoria’s Secret photo shoots. In fact I describe Hilary Duff’s hairstyle as a Victoria’s Secret inspired hair style. Hilary Duff’s makeup: Eyes are lined top with a black eye liner, and bottom with a purple eye liner. Peachy pink cheeks, and the perfect pink lipstick or lip gloss on the lips. All in all, Hilary Duff’s makeup look is soft and feminine. Hilary Duff, together with Elizabeth Arden, will launch her first fragrance With Love this September. Elizabeth Arden is also responsible for bringing us the fabulous Britney Spears fragrances Curious and Fantasy. Hilary duff was inspired by her older sister Hailey Duff has created a very sophisticated fragrance. With Love, however, still appeals to both Moms and Daughters. Hilary Duff was involved in the entire process of creating this fragrance. Hillary went through 115 changes until finally achieved her final fragrance. With Love is a layered fragrance and develops on your skin. Hillary Duff’s new fragrance is packaged With Love in an antique style bottle that was inspired by her favorite vintage ring. Its outer carton is light blue with gold scroll and looks like a present. Cocobolo wood and mangosteen fruit are some of Hilary Duff With Love main notes.